In the last blog post of 2018, I talked about the text control. Today I’d like to talk about something that sounds pretty similar but is actually quite different: the text box control. So, what’s the difference? Text controls are read-only: they display text to agents, such as things to read out while on a call. Text boxes, on the other hand, are read/write: yes, they can display text, but agents can also use them to enter and/or update data. 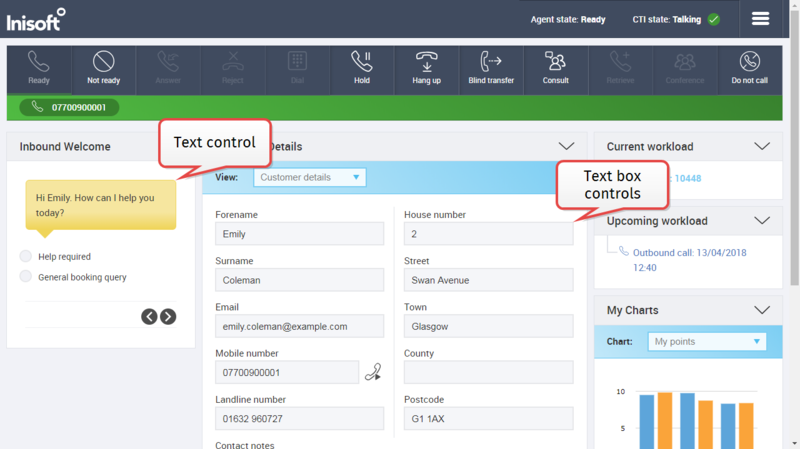 * Most agent desktops include a lot of text boxes for storing details such as customer information. You might be thinking: “It’s a box that agents type text into. 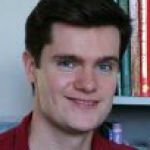 Why do we need to talk about this?” But there are some pretty great features that you should know about: let’s go through them! * You can make a text box read-only, if you wish. At Inisoft we want to provide the best and simplest user experience for agents, which is why we do a lot of user testing of Syntelate XA. In this regard we’re very lucky to be owned by Kura, the UK’s largest independent outsourcer, because we have access to lots of real agents who are happy to test our products! One thing that came out of user testing is that agents, particularly trainee agents, can sometimes forget the NATO phonetic alphabet (Alpha, Bravo, Charlie, etc.) while on calls. Well, why should they have to memorize it? Trainee agents have better things to worry about, like focusing on your customers! Using the Show Phonetic Alphabetic icon? property, you can add a small “abc” icon to any text box that you wish. Agents can hover over this to see the text box’s value in the NATO phonetic alphabet! By setting the Text box type property, you can define the type of data that is stored in any text box. Syntelate XA automatically validates this data and also adds in some helpful features for agents. There are various types of text box, but let’s go over four of the main ones. 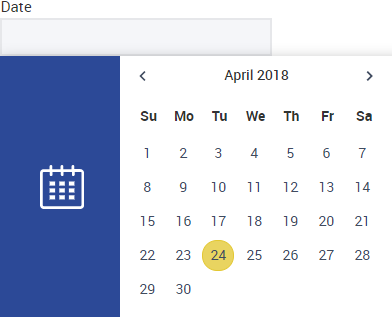 When the agent clicks in a text box of this type, a date picker is automatically shown. 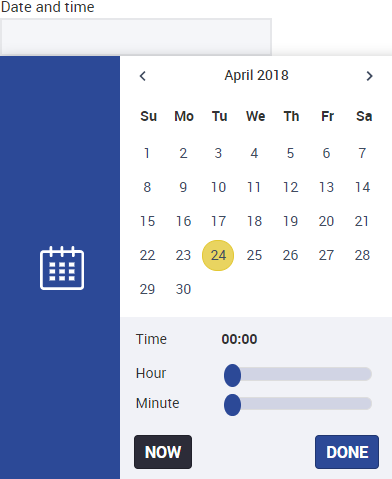 When the agent clicks in a text box of this type, a date/time picker is automatically shown. If the email address entered in this field is invalid, Syntelate XA won’t let the agent close the customer’s record until this has been resolved. A button is automatically added beside the text box. The agent can click this to dial the number. See, what did I tell you? So much more than just a box into which agents can type text! So next time you’re designing a desktop, why not have a think about how you can these features to provide the best possible experience for your agents?